Our Learning Center provides helpful information for the public about radon, and also serves to inform and instruct both new and seasoned radon inspection personnel. Stop worrying about how you might get a claim and start doing things to prevent them. Our risk management team publishes new material twice a month so that you stay informed about your industry and get impactful insights into your insurance policy. We interview professional claims handlers, Ivy League professors, inspection school owners, and fellow home inspectors to give you exclusive information. Subscribe to our newsletter below to send cutting-edge content straight to your inbox. council that increases the likelihood of a quicker and cheaper resolution. Plus, we’ll give you 50% off your deductible for using our pre-claims service first. That’s what we call a win-win. Don’t get tricked into paying more for claims when you don’t have to. With InspectorPro’s simple deductible, you don’t pay until your claim closes. That means you get all the defense before you pay out. And if closing the claim costs less than your simple deductible, you pay that lesser amount. As if not having claims isn’t enough, we reward our insureds for each consecutive year of no claims with us by “diminishing” or decreasing their deductible up to 50%. Just because you’re a niche industry doesn’t mean you have to rely on a one-man show. We’re a team of 15 licensed insurance brokers—five times the staff size of competing brokerages—and we work exclusively with home inspectors so we can give you the time and specialization you deserve. We work with multiple carriers so that we can match your business with the right coverage. And we perform the majority of our underwriting in-house, which allows us to send quotes, adjust coverage, and create certificates in 24 business hours or less. Best of all, our staffing size makes it possible for someone to be there to answer your calls and emails quickly and efficiently. We know that the main reason you’re buying home inspection insurance is to protect your business and your clients, so we don’t cut corners. Rather than giving you just one dollar amount for claims coverage each year, we give you two: one for E&O and one for GL claims, because we know you need both. That gives you more protection for your worst-case scenarios and more autonomy in case you’re more concerned about one type of coverage than the other. Don’t settle for insurance coverage that doesn’t meet your needs. Your business deserves the same safeguard you give your clients. Let us protect while you inspect. New Name. New Look. Same Great Education. Brightwood has the Home Inspection Education you're looking for! Brightwood’s home inspection education, powered by Kaplan, offers the most comprehensive home inspector licensing and certification preparation programs, home inspector professional development, and home inspector exam prep. Whether you need your home inspector license, home inspector certification, or want professional development, our training programs keep you on track for a successful career in home inspection. After completing one of our multi-day courses, you will be ready to start your home inspection business as a true professional. At Brightwood, we offer a variety of different course delivery methods to meet your needs. We offer live classroom licensing, professional development, and continuing education courses in select states. Our live classes give you the hands-on training to start your career in home inspection, and our hands-on home inspection lab contains hundreds of old and new house components. This state-of-the-art lab allows you to practice what you learn, as you learn it. Each of our live classes is presented by professionals in the home inspection and construction industry. Our instructors bring their expert knowledge and experience to each class they teach. In addition, Brightwood’s inspector training programs feature live on-site home inspections. Want the ability to study on your own schedule? Brightwood also offers convenient home study and online courses. Both of these course delivery methods allow you to study at your own pace, when and where it’s convenient for you. No matter which delivery method you choose, you will learn all of the major systems and components found in residential construction. Horizon puts you in full control, no matter where you are.You have immediate access to everything you need to create outstanding home inspection reports. With 1700 colour illustrations and the ability to add and edit photos, you can create amazing, high quality reports. Horizon leads you through the process and makes sure you don’t forget anything. The more professional your report, the more people trust you and your service. It’s a win-win business solution for you and your clients. in an elegantly simple report form. Since 1974, by law, American citizens have been protected from dangerous items in their homes. If a manufacturer has designed a dangerous product, they MUST recall all those items and FIX THEM FOR FREE! The problem with the law is that most often its up to the consumer to find out whether their appliances are potential fire or safety hazards! Fortunately, RecallChek is available to do this job for you. There is never a set-up fee for RecallChek, and reports are emailed within 48 hours. When you sign up a client for RecallChek, they automatically receive RecallTrak, our monthly newsletter that updates them on what hazardous appliances they may have and at the same time provides you with free email marketing – FOR LIFE! Your clients want more than just a home inspection, they need professionals you can depend on even after the job is done. That’s why we back all of our inspections with a 90-Day Structural and Mechanical Buyer’s Home Warranty. The 90-Day Warranty comes with your home inspection. This warranty is valid 90 days from the date of inspection or 22 days after closing, whichever comes later. Your client will always have at least 22 days worth of coverage. This warranty covers repairs to your clients to the items you as the home inspector have found to be in good working condition at the time of inspection and are specifically listed within our warranty. Your client will never have a deductible to pay, and claims will be handled within 72 hours of completion. And if your client already has a warranty, no problem. Ours can work in conjunction with an existing warranty. Welcome to North America's most trusted school for home inspector training and certification. Over the past two decades PHII has successfully trained and certified over 20,000 home inspectors in the U.S. and Canada. In fact, we founded the industry's first online home inspection training and certification program. We provide a national home inspection course you can complete online at your own pace, and you can attend face-to-face home inspector field training at our classroom facility for no additional fee. We provide quality home inspector training at an exceptional value with over $1,000 of value-added bonuses. All students receive free home inspection report software for unlimited devices, a $399 savings, plus a free business website with online credit card processing and online home inspection report delivery. PHII will help you establish a turn-key home inspector business without breaking the bank. PHII's home inspection course also includes lessons on mold and allergens, radon and commercial home inspection for a complete training portfolio at the industry's lowest price-point. You can generally recoup the entire cost of home inspector training and equipment with your first two home inspections. PHII's state-approved online home inspection certification course or classroom training will help you gain the knowledge and skills needed to become a certified and licensed home inspector, start quickly and stand out as a qualified professional. Learn about home inspection training in your state. At EMSL, we're much more than another testing laboratory. We are your project partner! EMSL provides easy access to our knowledgeable experts and industry leading customer service professionals. AccuStar's short term radon test kits are used for the initial screening of a home for the level of radon gas. These radon test kits are also ideal for assessing the performance of a Radon Mitigation system. AccuStar's Alpha Track radon test kits are used for long term radon testing. The long term test gives a better representation of the radon concentration over different seasons and building conditions. Exposure time is typically between 3 and 12 months. When performing a test for a real estate transation, speed and accuracy are critically important. AccuStar's short term radon tests can be conducted within 2-4 days and results are available online and via email within 1 day of the labs' receipt of the testing device. Radon in water may contribute to the level of airborne radon in your home and increase the risk of developing radon-induced lung cancer. It is highly recommended that every home with a private well is tested for radon. RadStar continuous monitors are verified by the US EPA and included in the AARST-NRPP certification program. Your RadStar purchase or lease includes software to transfer your radon test data to a PC or laptop and a USB / Serial adapter cable. AccuStar, along with RadonAway, the worlds leading manufacturer of radon fans, is a brand of Spruce Environmental Technologies and has been a pioneer in the radon industry for over 15 years. AccuStar Labs provides accurate, easy to use radon testing products and radon training programs for professionals. Our products and laboratories are NEHA and NRSB certified, and licensed in all States that have such requirements. 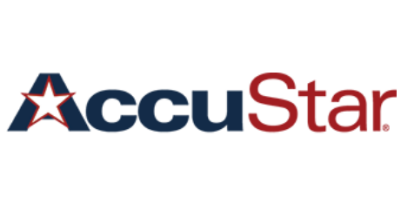 Our customers also appreciate AccuStar Labs' prompt, courteous service. Please submit your inquiry using the form below. An AccuStar representative will respond to you. Call RadonAway at 800-767-3703 for RadStar technical support, calibration or other service. Business hours are 8:30 am to 5:00 pm Eastern Time, Monday-Friday. DARTdrones is the national leader in drone training, consultation, and expert support for new drone pilots. Our mission is to provide the highest quality training on Unmanned Aerial Systems to ensure the safe integration of drones into the national airspace. We believe that drones are going to change the world, and we want to help the FAA implement this amazing technology by promoting safety, comprehensive understanding of the equipment, and knowledge of the current regulations. We pride ourselves on our friendly, knowledgeable, and expert flight instructors who offer a variety of experience in the aviation industry. We are an exciting team based in Scranton, PA offering training courses throughout the United States. The Examination Board of Professional Home Inspectors (EBPHI) holds that home inspector regulation intended to protect the public must require passage of a high-stakes examination to accurately and defensibly assess home inspector competence. The National Home Inspector Examination (NHIE) is developed, maintained and administered according to accepted psychometric standards for a high-stakes, public protection examination, including those recommended by the Council on Licensing, Enforcement And Regulation (CLEAR), The American Education Research Association (AERA), The National Commission of Certifying Agencies (NCCA), and others. The Examination Board of Professional Home Inspectors is an independent not-for-profit organization, incorporated in the State of Illinois and tax exempt under IRS guideline 501c(6). EBPHI’s sole purpose is to develop and maintain high-stakes examinations for the real estate inspection profession and to advocate for high standards for the profession. It is governed by a volunteer board of directors, but it is not a membership organization. Membership organizations and for-profit companies have inherent conflicts of interest in providing tests for public protection. Trade and professional organizations are focused on the agendas and market concerns of dues-paying members. For-profit entities may have a bias toward generating revenue rather than protecting the consumer and enhancing the home inspection profession. Because EBPHI does not depend on membership dues revenue, it is free to focus wholly on consumer protection in home inspector competency assessment. The Examination Board of Professional Home Inspectors is an independent, not-for-profit organization serving the public interest by establishing the standard of competence for the home inspection profession. EBPHI governs and administers the National Home Inspector Examination specifically to support the regulatory needs of states in identifying the required level of competence to conduct a quality home inspection. EBPHI has conducted four national role delineation studies (job analyses) for the professional home inspector, one in 1999, 2003, 2008 and again in 2013. 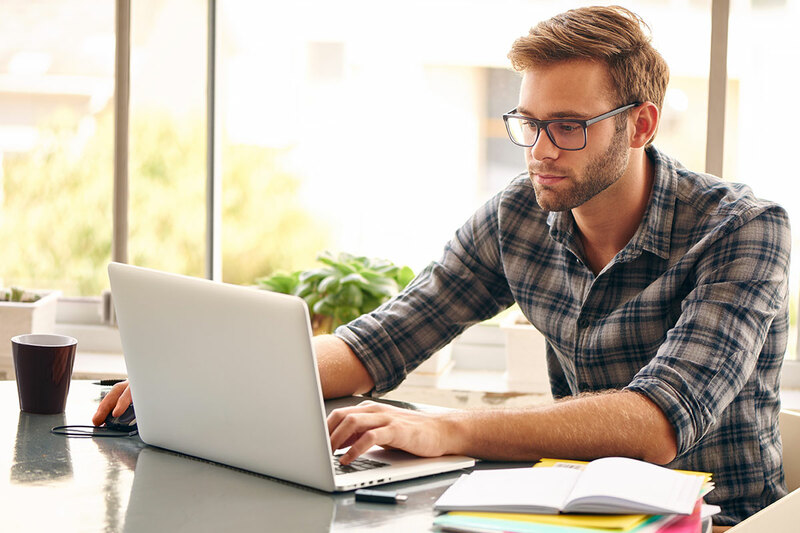 Role delineation studies are repeated every three to five years to insure that the resulting test blueprint— the content areas and knowledge, skills and tasks examined—are congruent with current professional practice. Over 6,000 professional home inspectors from from all 50 States, Puerto Rico and Canada participated in the 2013 study. Professional home inspectors from throughout the country who represent the profession along critical dimensions write questions for the National Home Inspector Examination item bank. These subject matter experts are trained in elements of quality exam question development by professional psychometricians. Each question is reviewed and edited by similarly qualified home inspectors; referenced to an authoritative, published source in the field; validated for importance, criticality, and relevance; and field tested as an unscored item on the exam. This exhaustive process is conducted annually to maintain the highest level of validity and reliability for the NHIE. Development and scoring of the NHIE adhere to psychometric standards set by relevant organizations, including the American Educational Research Association, American Psychological Association, National Council on Measurement in Education, US Equal Employment Opportunity Commission, and National Commission for Certifying Agencies. Validity means the examination is able to measure what it is supposed to measure. Reliability is an index of how accurately the examination measures a candidate’s skills. A test must be both valid and reliable in order for it to be considered a “high-stakes” exam for purposes of public protection. As a result of these safeguards, the National Home Inspector Examination accurately assesses each candidate’s competence to carry out the required duties of a home inspector. 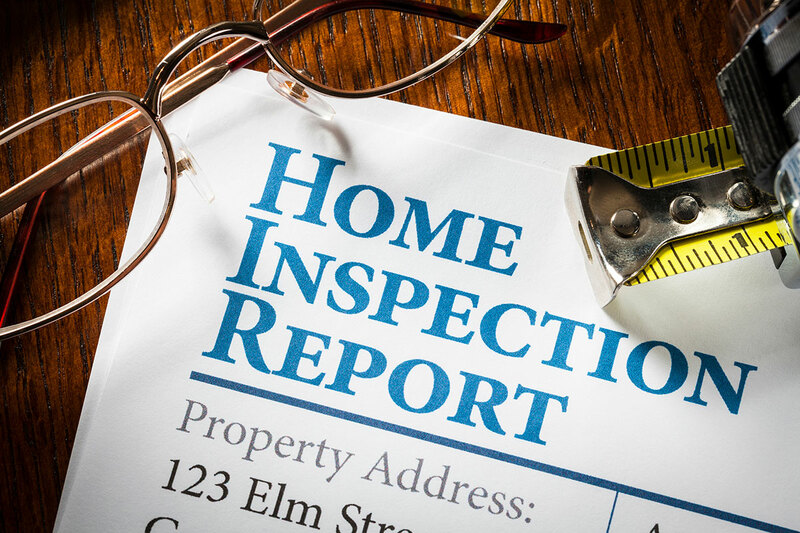 By requiring home inspectors to pass the NHIE, states participate in the national standard for the professional home inspector. The NHIE addresses the core competencies of home inspection as they apply in all states. Many state regulatory bodies also wish to test knowledge of state-specific laws, regulations or standards for a profession or occupation. EBPHI is able to consult in the development and CBT delivery assistance if needed. The total number of National Home Inspector Exams administered in the US in 2016 was 6,000+. The NHIE is offered at a reasonable cost to examinees at more than 300 testing centers nationwide and in Canada. The cost to develop, implement and maintain a high-stakes, legally defensible examination like the National Home Inspector Examination is considerable. EBPHI makes the NHIE available at no direct cost to the state, because it is our mission to set the standard for home inspector competency and to assist states in protecting the public. The NHIE is offered at a reasonable cost to examinees at more than 300 testing centers nationwide. All centers are equipped with touchscreen computer technology and most are available six days a week. Examinees may register online or by calling a toll-free number. 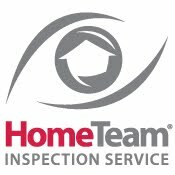 The HomeTeam Inspection Service, Inc.
Only the Living in Place Institute provides professionals training and certification in the skills necessary to help make homes accessible, comfortable and safe for everyone. CLICK HERE to read the Denver Business Journal article titled New Denver program seeks to make homes safer. Upon successful completion of the training, professionals earn the Certified Living in Place Professional designation and are able to market their services accordingly, as well as have access to the customizable Home Accessibility and Safety Evaluation Checklist, a valuable resource for assessing home safety. In most markets, 15% of all real estate listings include a swimming pool and 50% or more of homebuyers are open to owning a home with a swimming pool. 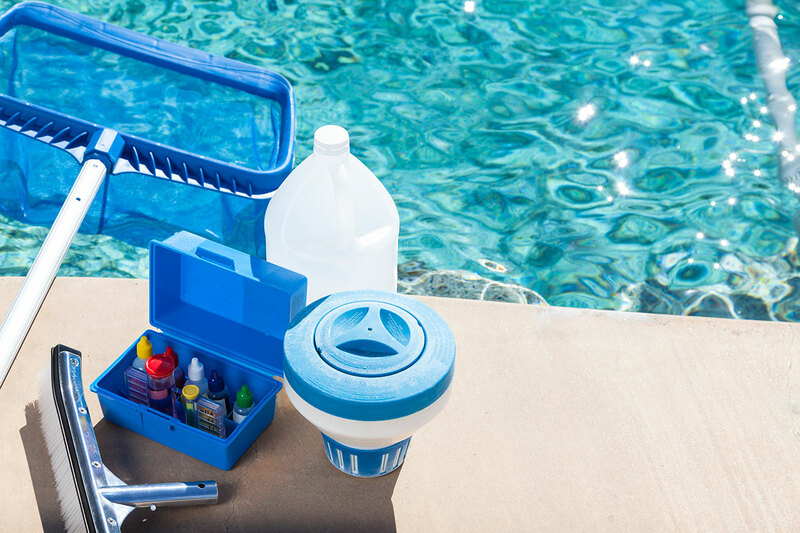 With 70,000 new pools built every year in the United States and an estimated 5.3 million homes with pools in the ground, becoming a PoolFax™ Certified Home Inspector is a great way to increase your business income. PoolFax™ is the only national branded pool assessment program that seeks to help you grow your business. As a PoolFax home inspector, you can make up to 25% more on home inspections you’re already doing with inground pools. PoolFax offers you two immediate ways to make more revenue from trips you’re already making. Score the pool. Fast, simple and extremely value to your Realtors and homeowners. Generates an additional $50 in service fees. Inspect the pool. Spend a little more time gathering information for us to generate the report, and create an average of $200 in service fees. All the home inspector has to do is fill out an online form and upload pictures. PoolFax does the analysis and will forward PDF documents that the inspector can provide to the client. The turnaround time is typically one day. Being a PoolFax Home Inspector is easy. Making money by providing PoolFax scoring and inspections is easier. Have a discussion now with a PoolFax manager who can explain the process and answer your questions. Who needs a PoolFax Certified Inspector & why? The core market for PoolFax™ home inspectors revolves around real estate transactions – when homes are bought and sold. The problem: no one in the traditional buy/sell process knows enough about the critical pool components for greater homeownership confidence. In addition, there is a growing opportunity for PoolFax certified home inspectors to expand their business by offering valuable, but simple pool assessments (PF Classification & QScore), or even advanced PoolFax certified inspections, to homeowners considering a pool remodel. Believe it or not, nothing like PoolFax™ currently exists, and the market and need is immense. RTCA®, Radon Testing Corporation of America, Inc. has been providing radon testing services since 1986. We have been rated the #1 Radon Laboratory by Ralph Nader's Consumer Advocacy Group, Public Citizen and have received high ratings from our professional and government clientele. RTCA® is the choice of thousands of radon professionals and homeowners nationwide! This section describes RTCA®'s qualifications and background, lists RTCA®'s national and state certificationsand provides information about the RTCA® management team. Vanguard EM holds a federal contract with the Federal Emergency Management Agency (FEMA) to conduct disaster housing inspections in the aftermath of large-scale disasters such as hurricanes, tornadoes, severe storms and earthquakes. Upon receiving notification from FEMA, Vanguard EM deploys inspectors to the declared disaster locations to assess damaged homes and record damages. 6 months free use of HON Pro - HON PRO is the first ever“Live Support for Inspectors”! Are you looking to diversify your business? Have you thought about adding services to bring in additional income?